Whoever said that ‘you can’t ever have enough dessert’ didn’t know about this massive dessert served at The Brew Corner in Vasai. Sold for INR 400, ‘The Everest’ will test the willpower of your sweet tooth in a very chocolaty pattern. The dessert starts with a base of one whole waffle and is then stacked with brownies, ice-cream scoops, some more waffles and is drizzled with generous amount of chocolate sauce, ice cream and fresh cream. To seal the deal, the dessert is topped with a whole ice cream cone! 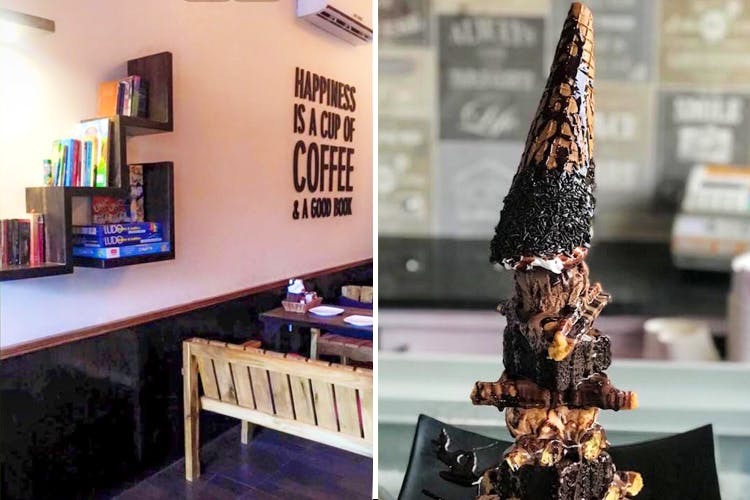 We definitely haven’t seen a taller dessert and seeing all our sweet dreams decked into one tower is definitely not helping our choco-cravings. Put yourself up for a challenge and head to The Brew Corner in Vasai. Let’s see if you can defeat this chocolate monster!